No Mesoscale Discussions are currently in effect. Most recently issued Mesoscale Discussion #0415. Notice: The responsibility for Heavy Rain Mesoscale Discussions has been transferred to the Weather Prediction Center (WPC) on April 9, 2013. Click here for the Service Change Notice. 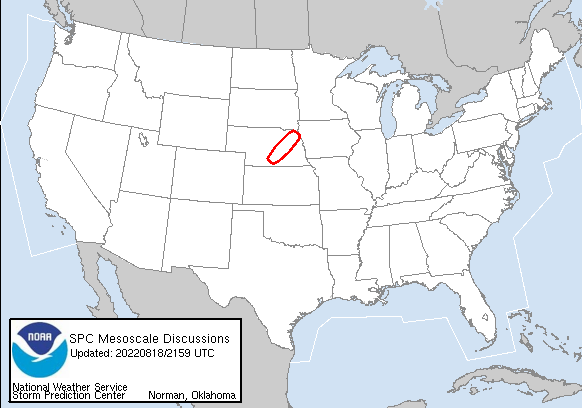 To view mesoscale discussions for a previous day, type in the date you wish to retrieve (e.g. 20040529 for May 29, 2004). Data available since January 1, 2004.